I happen to find no “evidence” for anything supernatural. I happen to also think it is unreasonable to assume there is no such thing as reason. (There has to be more than the natural, or there is literally nothing at all.) I suppose that all “evidence” for God or anything supernatural will fall away every time it is looked into objectively, with repeatability and third-party verification as aim. Still, I expect each of these books is worth the time to read. 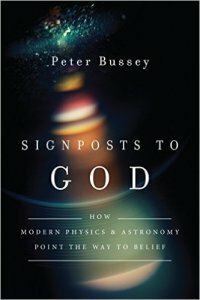 What is the best book you’ve read on Science and Christian faith? It seems to be the season … not the holiday season, but the book season. I recently received three new books. Books by a physicist, a biologist (with training in theology as well), and a philosopher. All three tackle questions of science and Christian faith. Each of the three presents an interesting perspective – and I intend to dig into them more completely over the upcoming months.